Is Iggy Azalea a modern version of Eric Clapton? Or does her mere presence mock a musical genre that is quite easily mocked? ...synthesising influences from Chicago blues and leading blues guitarists such as Buddy Guy, Freddie King, and B. B. King, Clapton forged a distinctive style and rapidly became one of the most talked-about guitarists in the British music scene. Although Azalea began rapping at the age of 14, she was infatuated with hip hop from age 11 when she heard Tupac Shakur's "Baby Don't Cry (Keep Ya Head Up II)": "It was the song that made me fall in love with music and also what sparked my Tupac fascination. That would later make me pick up my own pen and write songs. In her early interviews, Azalea regularly mentioned Shakur's influence: "I was sickly obsessed. I had every picture of Tupac ever printed on my wall". I know it might be a stretch to compare this new Hip-Hop star to one of the greatest of rock and roll figures in history, but Iggy has had a spectacular rise to the top. She is only the fourth female rap star to top the charts in history, and she is joined only by the Beatles in having the top two singles simultaneously as part of her debut album. As a born-and-raised Southern girl, who believes that lazy summer evenings are best spent with your top back or your sun roof open, bass-heavy music booming through nice speakers, while you slowly make a few blocks through the neighborhood, to see who’s out and what’s poppin,’ I resent Iggy Azalea for her co-optation and appropriation of sonic Southern Blackness, particularly the sonic Blackness of Southern Black women. Every time she raps the line “tell me how you luv dat,” in her song “Fancy,” I want to scream “I don’t love dat!” I hate it. The line is offensive because this Australian born-and-raised white girl almost convincingly mimics the sonic register of a down home Atlanta girl. Cooper makes a living by resenting white people. Anybody who teaches gender and Africana studies in a modern university has no choice but to complain about white people, especially white men. But her point is widely shared by black people, at least as you peruse the comment sections on her YouTube videos and in articles about her. The hip hop culture is subversive. It is based on a disrespect of common cultural norms. Kids wear pants exposing their backsides as a way to say “screw you” to polite society. Gangstas glorify gang-banging, and praise cop-killers. Citizens who help the police track down criminals are called stool-pigeons, rats, narcs and in the hip hop culture are seen as the bad guys. But hip-hop has gone mainstream, despite it’s Bad Boy intentions. Snoop Dog has become an advertiser’s dream. Ice Cube and Ice T are movie stars with cross-over appeal. Sean Puffy Combs and 50 Cent are moguls and businessmen in their own right. It is into this world that Iggy Azalea dares to wander. She isn’t the first white person to want to become a rapper. Vanilla Ice broke the ice, so to speak, but he was never more than a novelty item. The Beastie Boys had their own rap style that wasn’t particularly inspired by black culture. Eminem was a musical genius, and his movie “8 Mile” showed how hard it was for him to gain acceptance into the tight-knit hip hop scene. Macklemore has had great success a white rap artist breaking into the mainstream, although, like the Beastie Boys, he has a style all of his own. Azalea, on the other hand, is very, very convincing. She sounds like a young black rapper from Atlanta. And in many ways, she does it much better, with greater humor, better hooks, and less anger. “Fancy” is hilarious. “Work” is strong to quite strong. And she helps to make Ariana Grande’s “Problem” a particularly interesting piece of work. Azaela’s personal story is interesting. She came to America as a 16-year old who didn’t know anybody in this country. She was an illegal immigrant in the sense that she worked on a visa that didn’t really allow her to work. She traveled first to Miami and then Houston and then in Atlanta, all with a single-minded focus on becoming a hip-hop star. Why would a 16-year old white Australian want to become a hip hop star? Why would a young lady risk life, limb and personal safety to travel to some pretty dangerous parts of the United States in hopes that one day she could rap like Missy Elliott? Her dad was starving comic artist, her mom cleaned houses to keep food on the table. She says that she felt like a stranger in her own land, and that is what compelled her to move to America, to escape poverty perhaps and perhaps to achieve an artistic vision that only she knows about. It interesting to watch her do interviews at radio stations. When she is talking to primarily a black audience, she slips into a more urban accent. When her interviewers are white, her accent is more obviously Australian. She isn’t quite comfortable in either setting. But in her videos, she is supremely confident. She sings Southern black rap like she invented the genre. 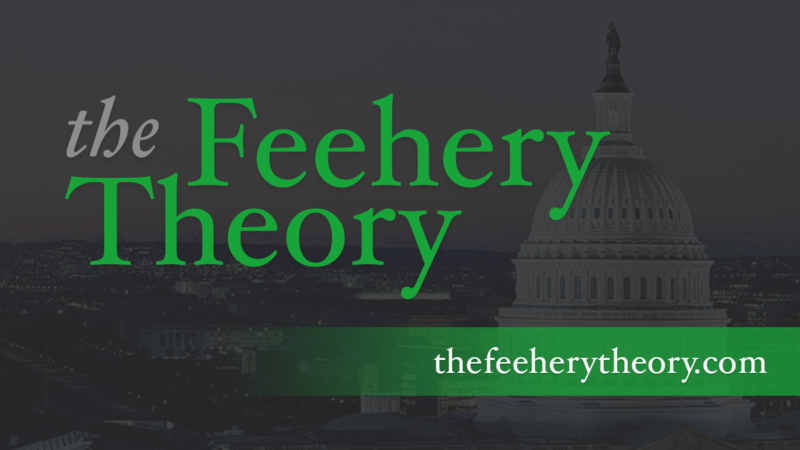 Why am I writing about Iggy Azalea on the Feehery Theory? I have no idea. But I find her to be a fascinating figure on music scene. She’s so fancy. And everybody knows it. She in the fast lane, from LA to Tokyo.